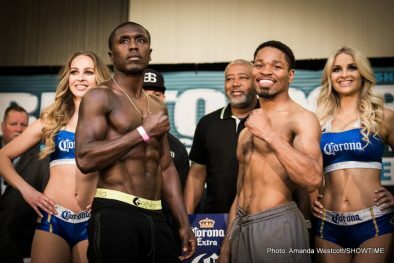 Former world champions Andre Berto and Shawn Porter went face-to-face Thursday two days before they enter the ring for a world title eliminator showdown that headlines SHOWTIME CHAMPIONSHIP BOXING, presented by Premier Boxing Champions, this Saturday, April 22 from Barclays Center, the home of BROOKLYN BOXING™. 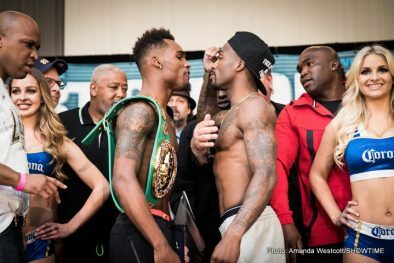 Super welterweight world champion Jermell Charlo and top rated contender Charley Hatley and their camps exchanged heated words during Thursday’s press conference prior to their co-main event matchup live on SHOWTIME at 9:30 p.m. ET/6:30 p.m. PT. 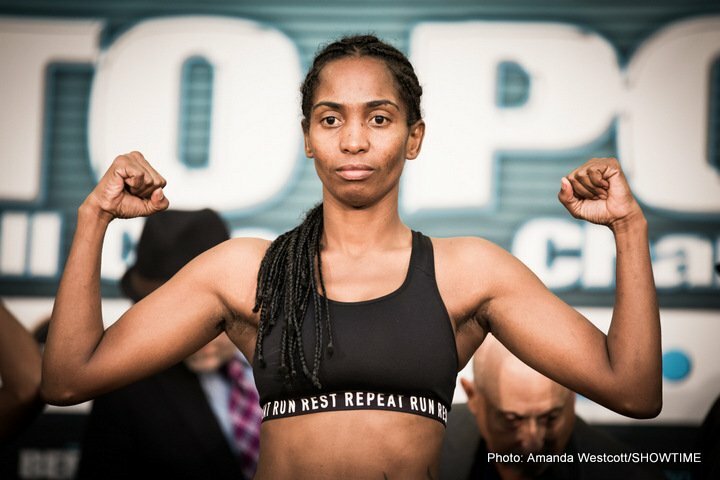 Also in attendance Thursday and headlining SHOWTIME EXTREME action were four-time world champion Amanda Serrano looks to become the first female fighter and first Puerto Rican to win titles in five weight classes when she fights Dahiana Santana for a vacant 118-pound title. 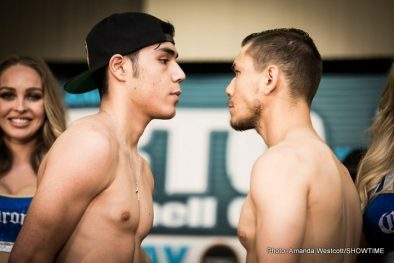 Coverage begins at 7:30 p.m. ET/PT with unbeaten prospect Jose Miguel Borrego battling California’s John Delperdang. “I started my career in New York and it feels great to be back here in New York. This is going to be a fantastic night of fights. I go a long way back with a lot these fighters up here. It’s tremendous to see these fighters still dialed-in and at this level. I’m the old vet in the group now. “I’m still on top of my game. That’s something that’s hard to do. We had a tremendous camp. One of the best I’ve had in years. I was focused the whole time. “I’m looking forward to putting those straps on just like they never left. I respect Shawn and his dad, but right now, they’re in the way. 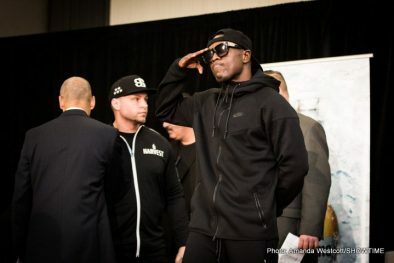 “When it’s time for the fight, Andre Berto and I are going to put on a show. I’ve seen this man get hit, I’ve seen him get put down and he got up. I know he can be hurt and I know he can be stopped, He’s a man just like me. He’s ready, but not as ready as me. You don’t want to miss it on Saturday night. 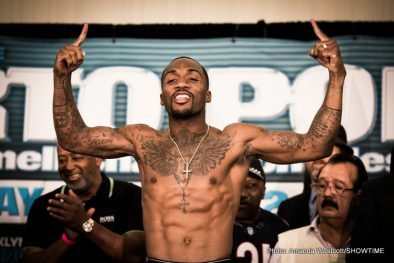 “The number one thing for me is to win this fight and show Keith Thurman that I’m ready for the rematch. There is nothing allowed but positive energy. We’re almost there. I’m definitely excited. 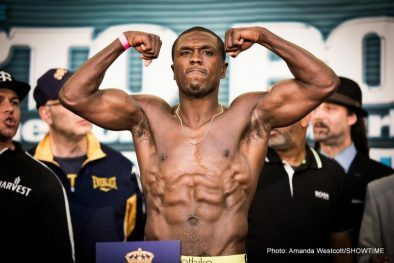 “Andre Berto is dangerous if you allow him to be. We do everything we can to make sure that doesn’t happen. I have no doubt in my mind that we won’t be in any danger on Saturday night. 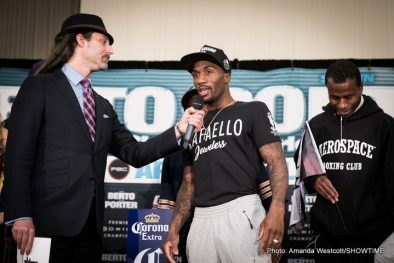 “We saw during the Floyd fight that footwork can work against Andre Berto. 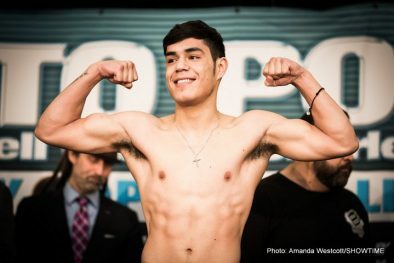 Against Josesito Lopez we saw that you can box Berto, but you need to get out of the pocket. 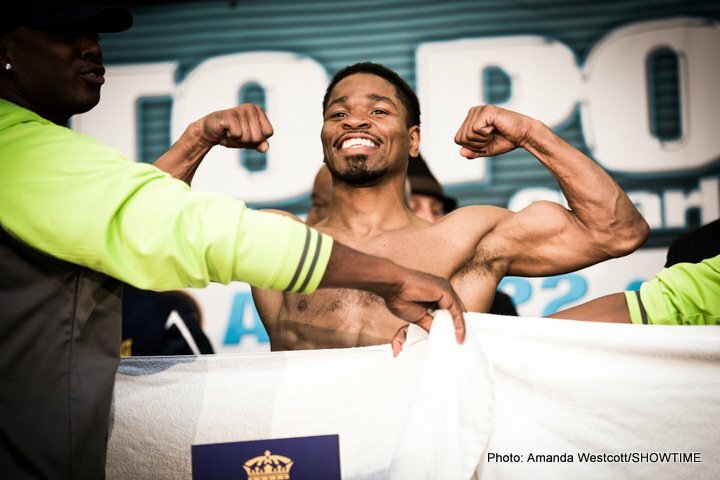 Against Victor Ortiz we saw that he got put down by Victor. The difference between Victor Ortiz and myself is that I’m a fighter who never stops. I’m coming after you. “The jab will be a key to this fight. I can throw my jab a lot of different ways. You’ll see me using my jab a lot in this fight. “I’m glad to finally have this opportunity. It’s been a long time coming. 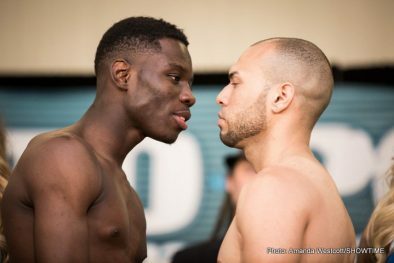 My coach has already scripted the way he wants this fight to go. I have to make it happen. “I’m excited to announce that my brother Jermall will be working my corner. I’m really pumped to have him in there with me as my chief second for the first time. “I don’t know what’s been happening with Charles Hatley’s team. But we’re here and we’re not going anywhere. I’ll never run from anybody. “This is one of the best camps I’ve had in my life. I had some training in Los Angeles and then in Dallas with Derrick James. 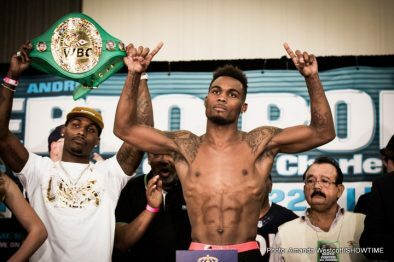 We’ve stepped it up in training working every day with Errol Spence. “My brother and I aren’t getting the respect we deserve in this game. We’re still trying to prove a point and it’ll start on Saturday with this fight. “There’s a new sheriff in town. I’m thankful to everyone who got me this opportunity and made this happen. Now it’s party time. I’ve been working for this fight my whole life, not just for months. “I’ve wanted Jermell for three years. 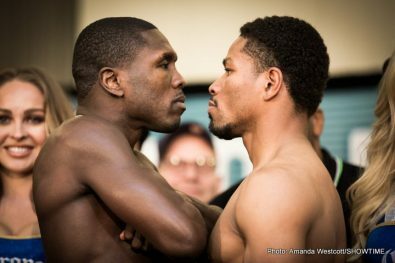 There’s no other fight in boxing that I want more than this. We had a long camp and we never stopped working. I’m going to bring the best out of him and become the new champion. “There’s nothing he can do to stop me from leaving the ring with that belt. I know I have all the skills. 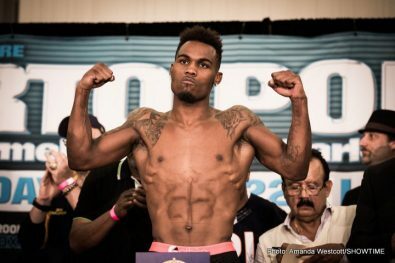 We’ve worked hard and I believe I have what it takes to beat Charlo and take his belt home. “I’m extremely blessed to be in this position. I’m thankful to my whole team for getting me prepared and where I am right now. I trained really hard for this fight. Being a five-division world champion is a great accomplishment. I’m so ready for it. “We struggled a little bit for this fight because it was for history. I left it in the ring every day. I want to be known as one of the best female fighters and one of the best Puerto Rican fighters in the history of the sport. “I think our styles are going to match up well for the fans. I always want to leave the fans with something to talk about. Being in my hometown, it’s even more motivation to go put on a performance that everyone remembers. “I know that I’m going against a really good fighter who is a four-division champion. I’ve been training very hard to win this bantamweight title. 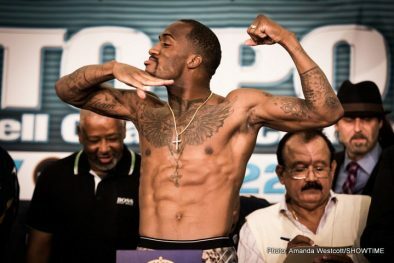 “I’ve trained very hard physically and mentally for this fight and I feel ready for a victory. 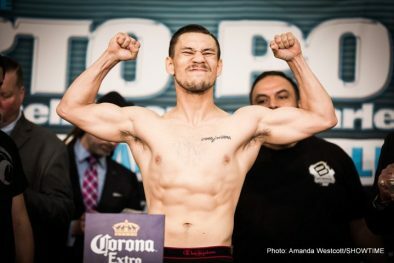 I know that with the work we did in training, that I’ll be ready for anything Serrano brings into the ring. “I’m very glad to have this opportunity. We’ve prepared very well and I know that me and my team are ready. “I’m really happy to be a part of this fight. I’m coming to win and I’m coming for the knockout. I know that a win puts me on a different level. “To be able to come back to the Barclays Center for a second time is an honor. Training camp was great and I’ve stayed in the gym. I’m ready to get back in there. “There was no bigger stage than the Olympics in my eyes. 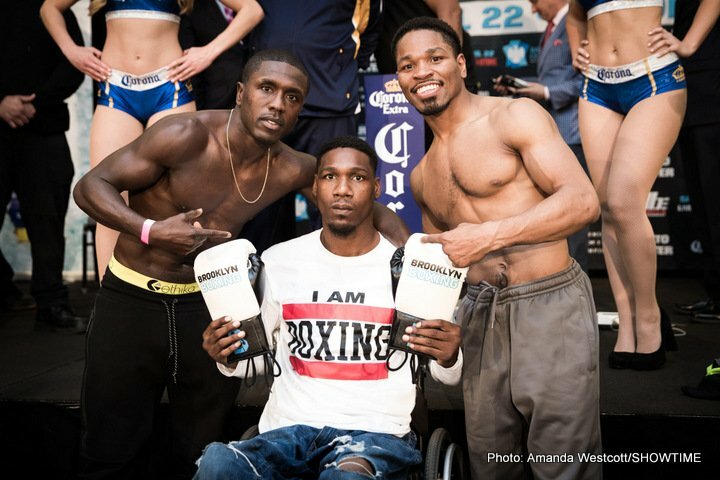 Without Andre Berto, I would not be standing here as a 2016 Olympian and in the position I’m in as a pro. “This is going to be another sensational show at Barclays Center. SHOWTIME is really on a roll and they just came out with another slate of great shows. I’m proud to work with them on this fight. “This main event doesn’t need a lot of hype. 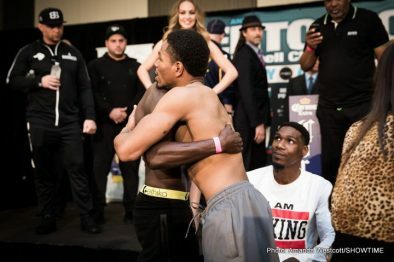 Two of the best guys in the division fighting to get in there with Keith Thurman and prove who the man is. Shawn almost succeeded against Keith in a fight he thought he won. 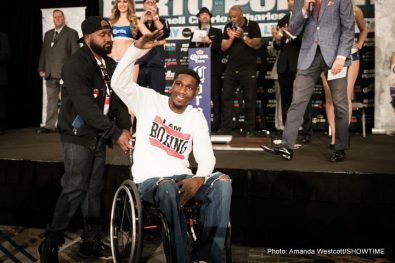 Berto is a champion and there is no quit in him. This is going to be a war in the ring on Saturday night. “This is another great Barclays Center event and another night of championship level boxing on SHOWTIME. That’s what we have been doing all year, that’s what Barclays Center does and that’s what Lou DiBella does. “Borrego and Delperdang are making their television debuts, which is a big milestone in their career. 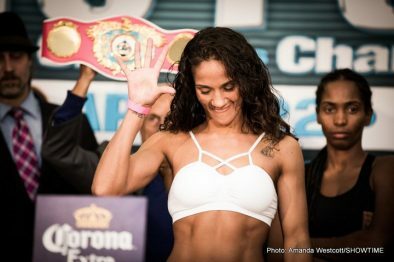 Amanda Serrano is fighting to make history. No one has done what she’s trying to do. 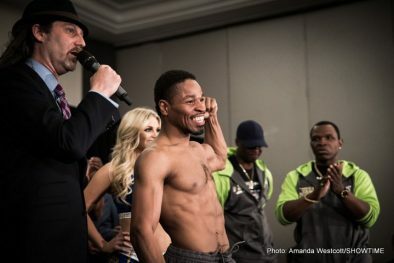 Charles Hatley is fighting for a world title, which is something he’s spent his whole career trying to do. 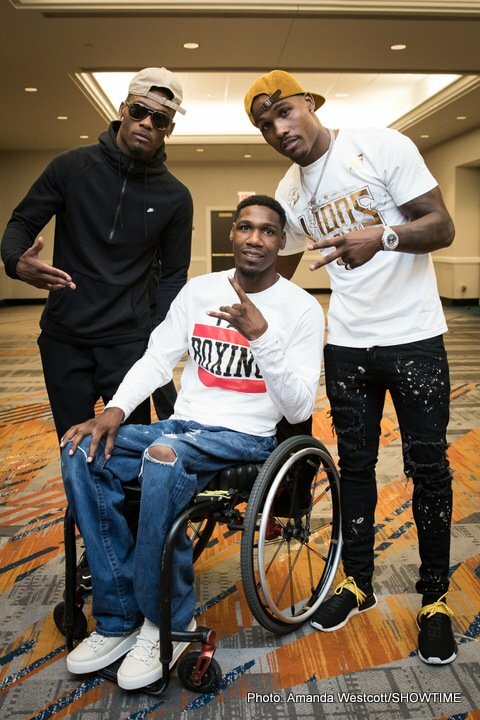 But Jermell Charlo is driven just as much. He’s spent his career getting here and he is driven to hold onto his title.